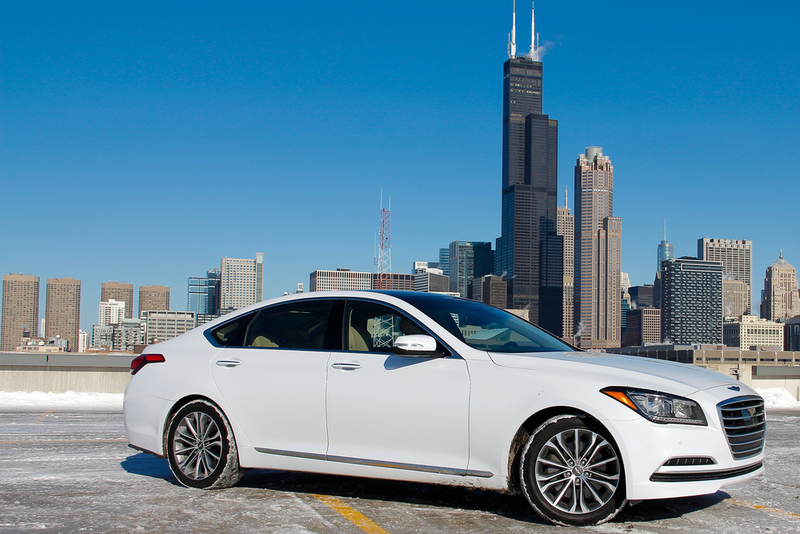 Earlier this winter I had the pleasure to test out the 2015 Hyundai Genesis 3.8L V6 RWD. I was excited to put it to the test as we never know what kind of weather we will have here in the Midwest, and having a rear wheel drive vehicle and with snowy conditions is not always ideal. Though I kept my fingers crossed that it wouldn’t snow, I was glad it did so I could give it a real test. 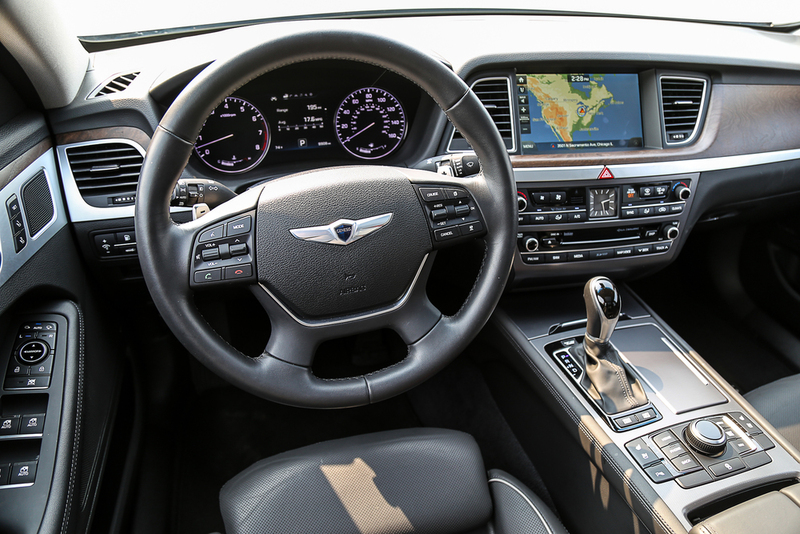 More recently I was able to review the 2015 Hyundai Genesis 5.0L V8 RWD, which gave me a great opportunity to do a mini comparison of the two. Though the vehicles were almost identical, there are some differences worth pointing out. 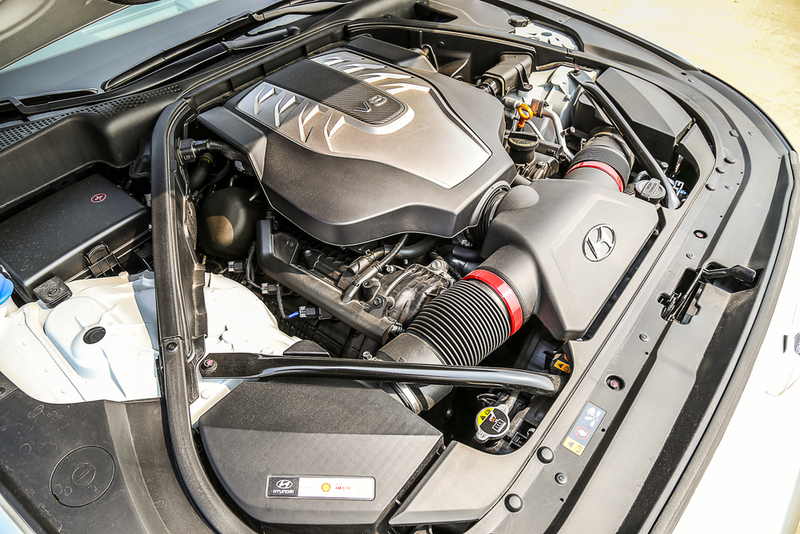 The biggest being the beefier 5.0L V8 pushing out 420hp as compared to the 311hp produced by the 3.8L V6. Who wouldn’t want more horsepower? The exhaust is the only noticeable exterior difference between the two. Both have dual exhaust, but the 3.8L has one oval tip on either side, while the 5.0L has two round tips on either side. This is not a difference that people would really pay attention to, in fact I didn’t until I really looked at them. I found the performance on the 5.0L to be average overall. I was excited to be able to take it on some windy roads and test out the pedal shifting. I normally prefer the pedal shifting, but on this model I say throw it out. There was a huge delay both in shifting the gears up and downshifting, which got a bit annoying after a while. It’s not a sports car, so there really is no need for it. 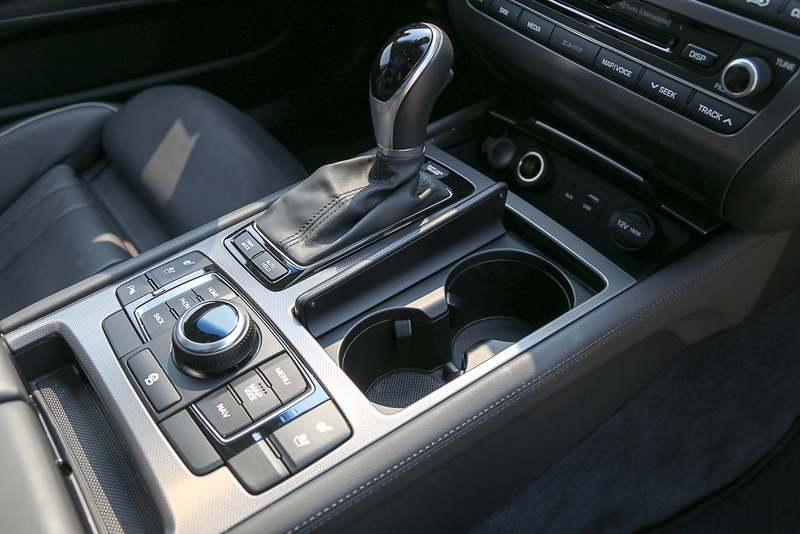 Keep it a luxury car with the sport option for those who like it to rev higher in between gears. The pull on it was good. The heavy horsepower will sink you back into the seat and the roar of the engine makes it feel even better. The tires gripped really well with the traction control on, but without it, the rear end seemed to let loose. This was expected in snow, but still took me by surprise. I also noticed some heavy roll when taking the turns hard. This is a heavy vehicle weighing just shy of 4,600 pounds, so I understand the motivation behind the bigger motor. Both my wife and I can really see ourselves owning a car like this in the near future. It’s very elegant, stylish and has a real luxury feel for a fraction of the cost of its competitors. You really get a lot of bang for the buck and more. I definitely see why it was named runner up to Car of the Year. 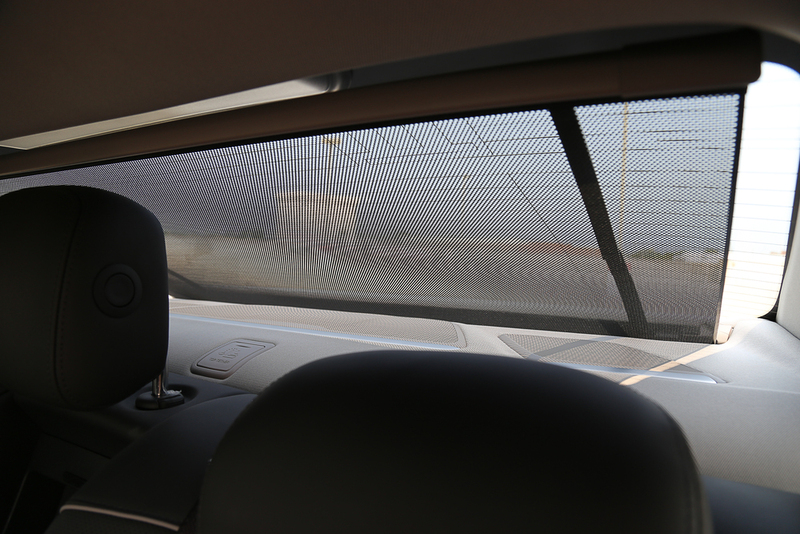 One of the biggest features I liked was the panoramic sunroof. Both of my sons loved looking up and pointing out the planes and birds. They really got a kick out of it. As for my wife and I, there really wasn’t anything we didn’t like (outside of the paddle shifters) and can’t think of anything we would want to add. This fully loaded model was well equipped with all we could ask for. You might be wondering which of the two would be our pick, the 5.0L V8 or the 3.8L V6. Both were well equipped with all the bells and whistles, and the biggest difference between them was the engine. However, the 3.8L comes with an option for AWD, while the 5.0L does not. That fact makes the decision for me, and I would choose the 3.8L in an AWD for a mere $2,500 added charge. Living in the Midwest makes this a no brainer for me. 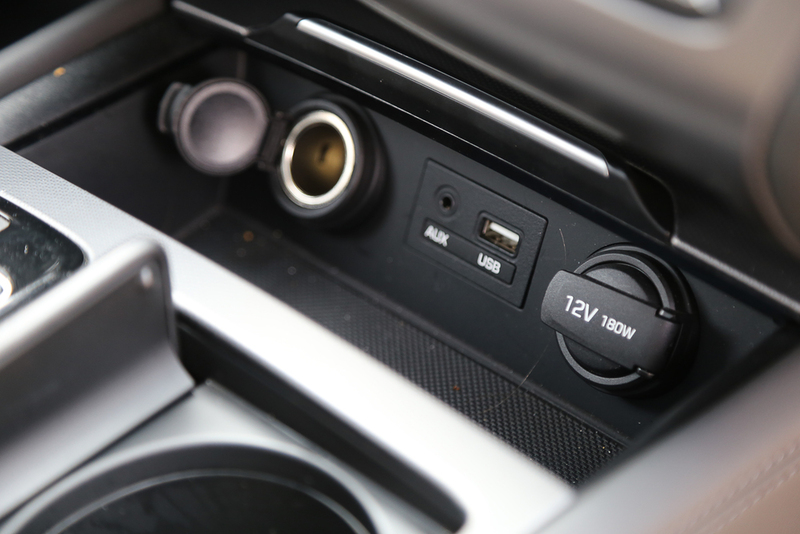 It is a great car that can handle all types of weather without the huge excess in power. Would we choose the 5.0L if it came with the AWD option? I don’t think so. We just don’t need to have the 420 horsepower, and would benefit from the better gas mileage from the smaller engine. Overall it’s a great vehicle. I really enjoyed spending time with it and either model would be a great choice for anyone, the engine size being a matter of personal preference. It is a true head turner, and without obvious Hyundai markings I got a lot of questions about the car. 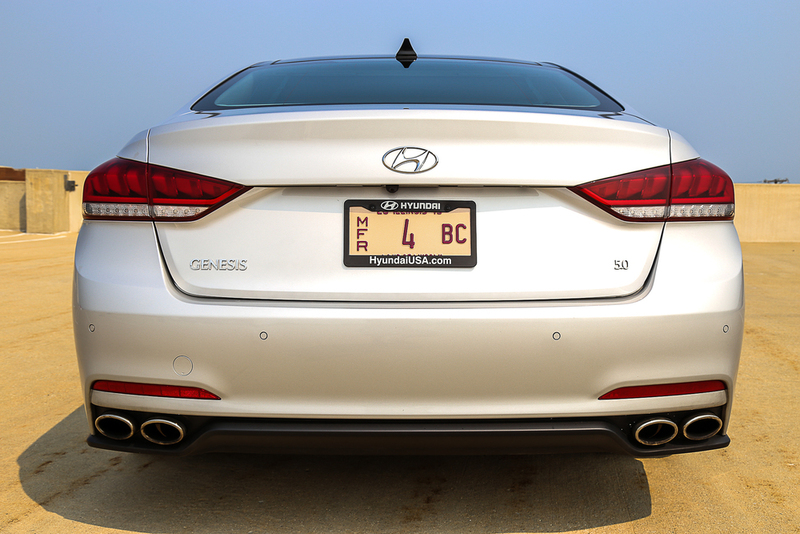 I have to say that Hyundai has really come a long way and it shows by people’s reactions once I told them the make of the Genesis. 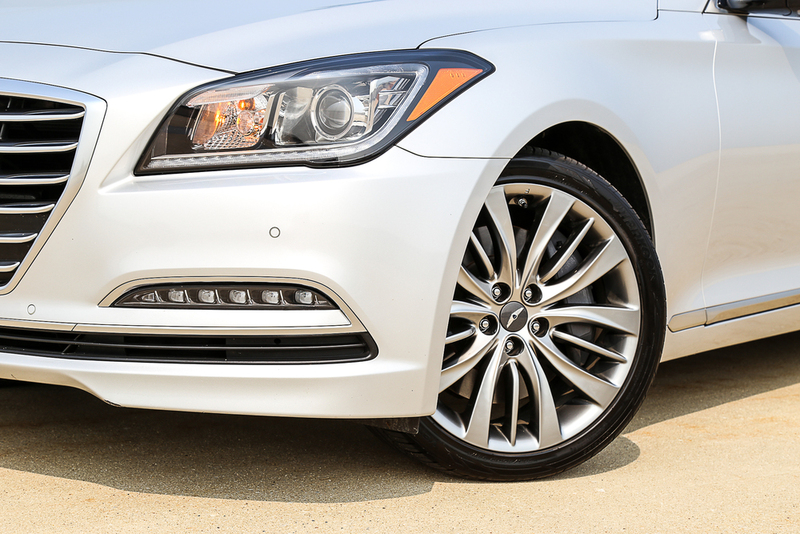 Like to thank Hyundai USA for the opportunity to spend some time with this model and please visit your nearest Hyundai dealer for more information. You really need to get behind the wheel and take it for a spin. You will be surprised and pleased that you did.